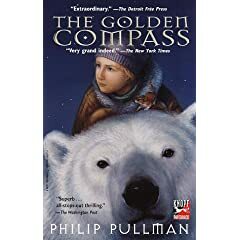 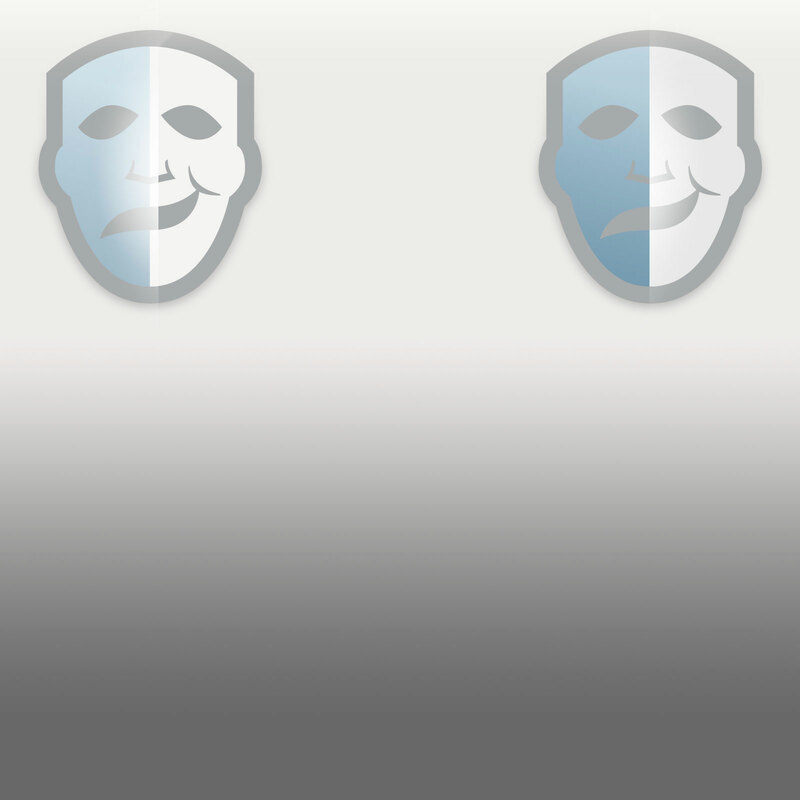 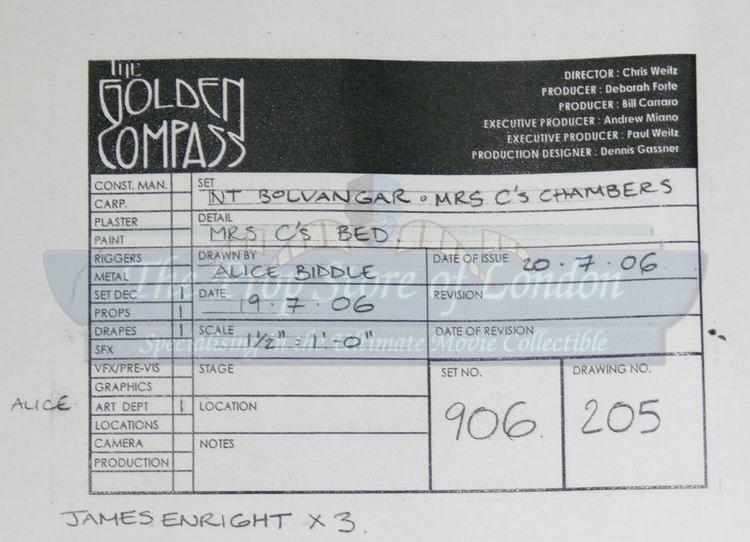 A blueprint used in the production of the 2007 film The Golden Compass. 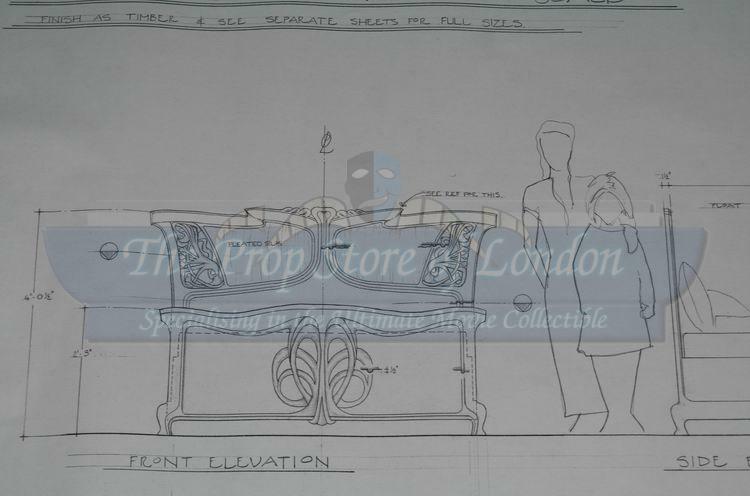 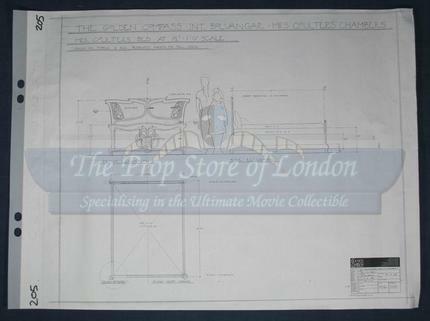 The technical drawing is for a set design of Mrs Coulter’s (Nicole Kidman’s) Chambers, in particular the bed details. 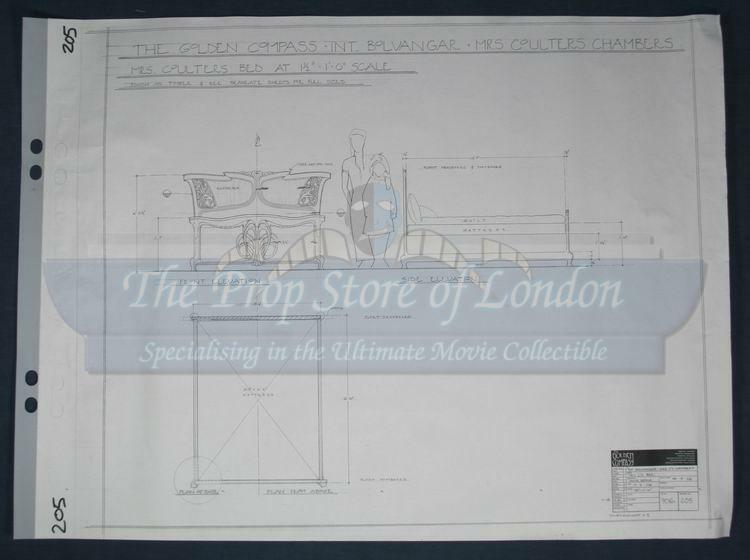 It was drawn on 20th July 2006 and measures approximately 125cm x 84 cm (44" x 33") The beautiful plan is ideal for framing.